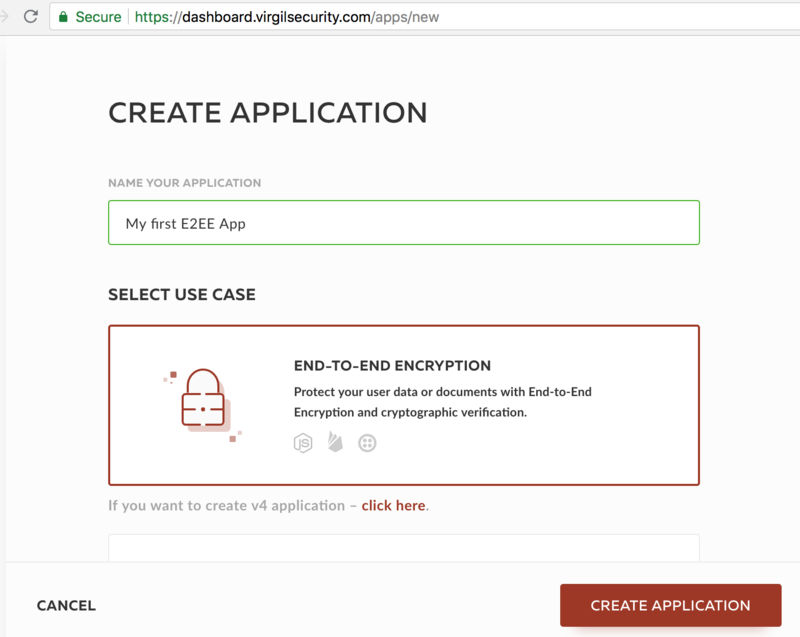 Ever wanted to see how the end-to-end encryption works without writing any code? 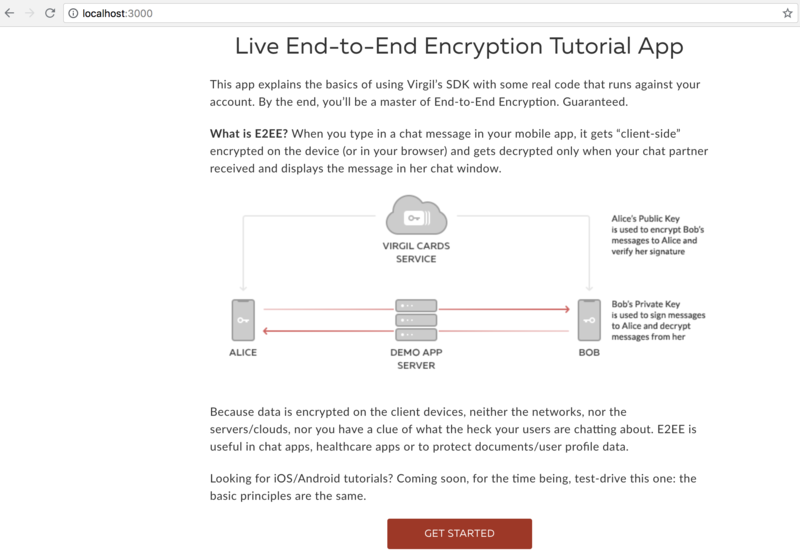 Virgil Security E2EE Demo will help you with that in a few simple steps! decrypt the message and verify its signature to prove that the message has not been tampered with. How to get the demo working? First of all, you'll need to sign up at Virgil Dashboard or sign in if you already have an account. It won't take too long. To launch the demo, you'll need to download it first. You can do it by downloading a ZIP archive of the project and unzip it or cloning it from the GitHub. 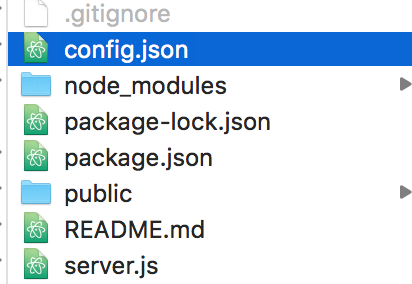 It runs on Node.js, so get the latest version if you don't have one. – Something's gone wrong. What should I do? 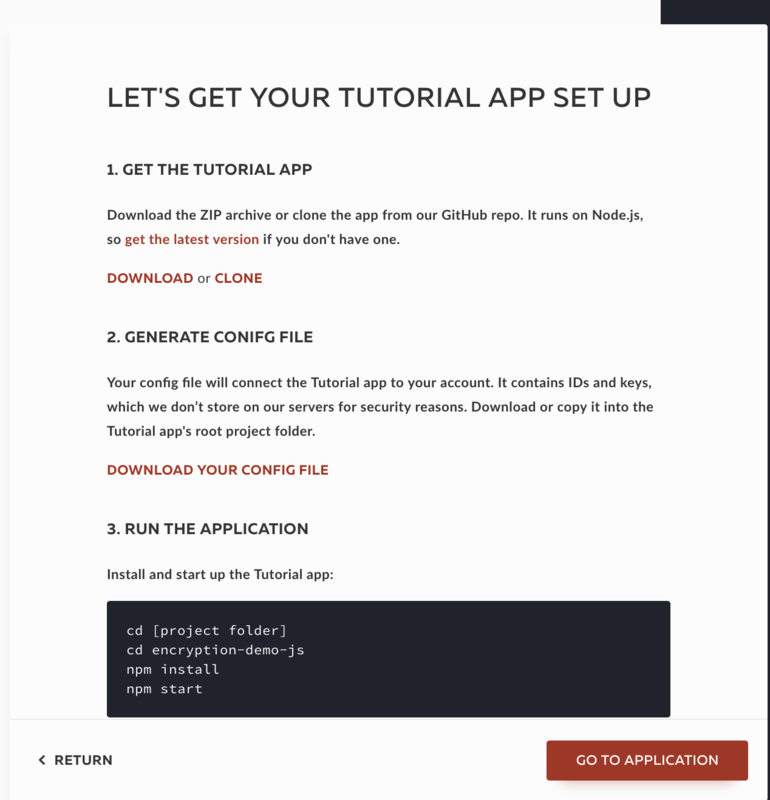 In case you have any troubles with JS Demo you can check the common mistakes chapter or contact us by using the Intercom in the right bottom corner or on Slack. 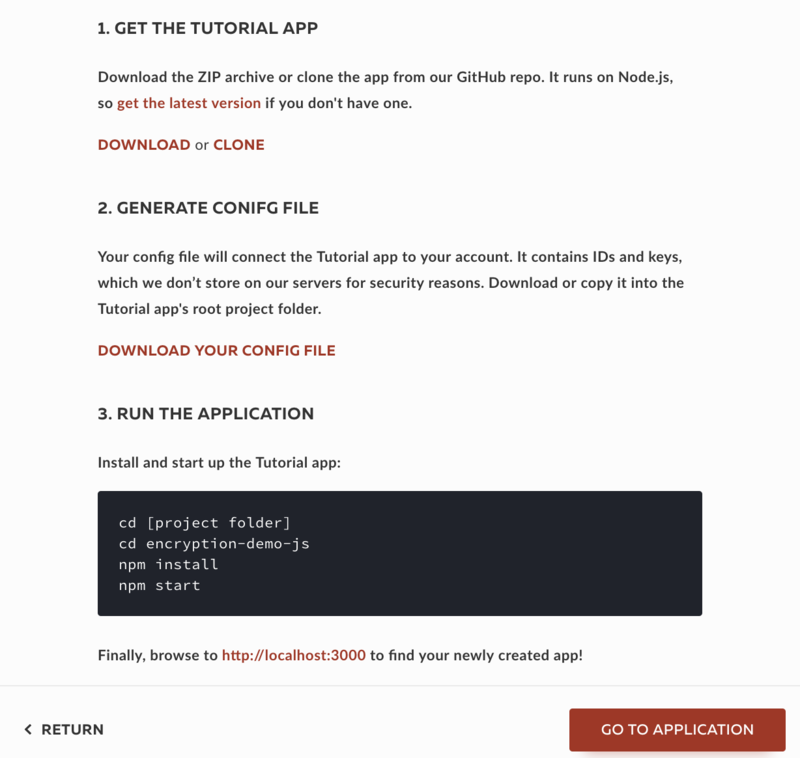 – I've skipped the tutorials page not purposely and can't find how to download config file. Can I run it again? Yes, but only by creating a new application. But don't worry, you don't necessarily need to do that - you can complete the tutorial by using this guide!